Konica Minolta Medical Imaging, a world-class provider and market leader in medical diagnostic Primary Imaging Solutions, announced today a partnership with SonoSim to provide an integrated ultrasound training solution for the SONIMAGE P3 hand-held ultrasound system. The SONIMAGE P3 brings advanced imaging capabilities to a patient’s bedside. It lets clinicians rapidly assess patients with sonography and make accurate, and cost-efficient diagnoses. Konica Minolta Medical Imaging is a world class provider and market leader in medical diagnostic primary imaging. 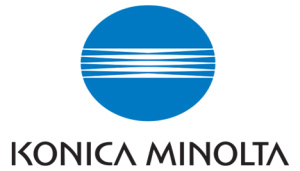 With over 75 years of endless innovation, Konica Minolta is globally recognized as a leader providing cutting-edge technologies and comprehensive support aimed at providing real solutions to meet customer’s needs. Konica Minolta Medical Imaging, headquartered in Wayne, NJ, is a unit of Konica Minolta, Inc. (TSE: 4902). For more information on Konica Minolta Primary Imaging Solutions, please visit www.konicaminolta.com/medicalusa.